For the second year Theatre Oxford is raising money for the Michael J. Fox Foundation during their season’s final four show run of Sharr White’s The Other Place April 19-22 at the Powerhouse. Theatre-goers will be able to bid on original art by Allan Innman and pottery by Keith Stewart and buy raffle tickets for gift certificates from a number of Oxford and Memphis businesses and restaurants. “April is Parkinson Disease awareness month, which works out well for us to have a fundraiser during the last show of our season,” said Matthew King, Theatre Oxford board president. “We had a lot of community support last year and raised $1,500 for Team Fox. We hope to beat that this year.” The themes of brain research will be echoed on stage as well. The Other Place, which centers around successful neurologist Julianna Smithton, is described by Variety as “a haunting drama so cleverly constructed that the nature and depth of the problem aren’t revealed until the last shattering scene.” Director Brian Whisenant was hooked after reading only a few pages of the script. 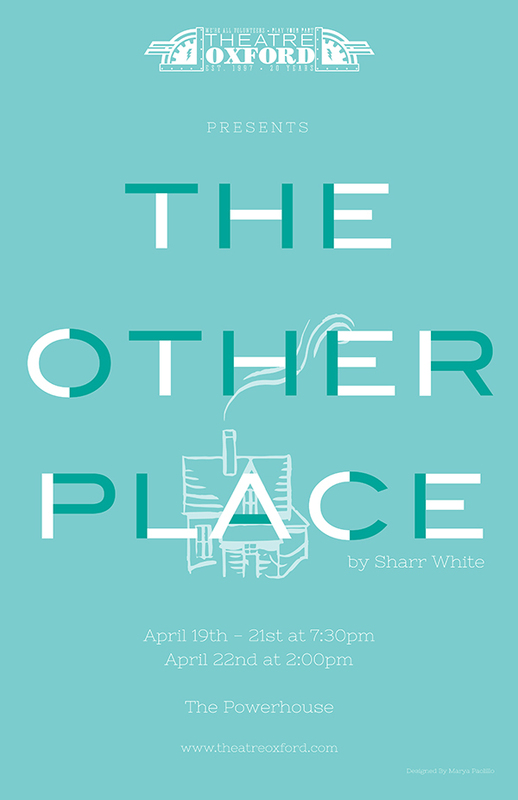 The Other Place performances are April 19–21 at 7:30 pm and April 22 at 2 pm. Tickets are available online through their website www.theatreoxford.com or at the door. The Stax Museum, The Memphis Zoo, Cotton Museum of Memphis, Steven Rose Jewelers, Oxford Film Festival, Yoknapatawpha Arts Council, McCarty’s Gallery, Studio Whimzy, Buffalo Wild Wings, Chick-fil-a, McAlister’s, Newk’s, Old Venice, Mugshots, Kinnucan’s, Insomnia Cookies, and the Oxford Treatment Center.